This week I made a recipe centered around everyone’s favorite spread: Nutella! 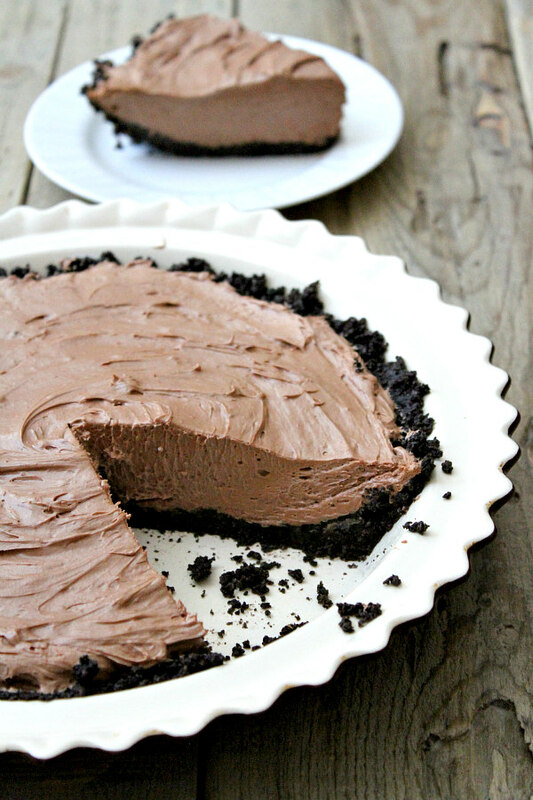 This is my No Bake Nutella Pie. Click below to watch a short video showing you how to make this. 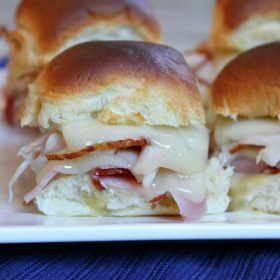 Scroll to the very bottom to print out the complete recipe. It’s not possible to go wrong with an Oreo crust… I think my dog Tessie would agree, but she can only stare longingly at the pie from a safe distance away. 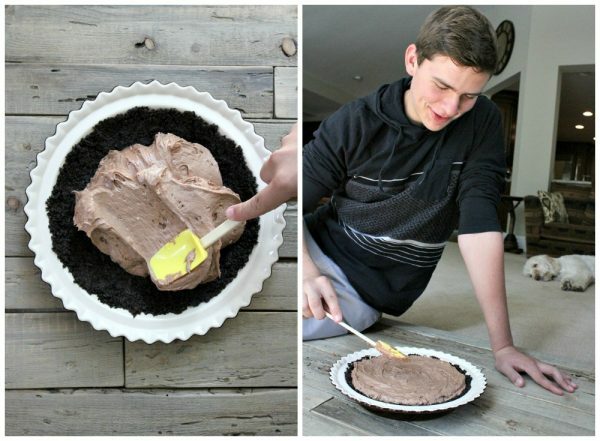 It’s difficult to make an amazing dessert pie… usually. The no-bake aspect of this recipe appeals to me for the overall ease and simplicity. Some pies require a long list of ingredients and impossible directions, but not this one. The No-Bake Nutella Pie is simple (just five ingredients with optional toppings) and easy (no longer than twenty minutes to prepare). If there is one thing I’ve learned from this recipe, it is that Nutella, cream cheese, and Cool Whip come together to create one of the best pie fillings in the world. This pie is light and fluffy, but rich. It’s a perfect recipe for when you need an easy dessert to make for friends or bring to gatherings. Prepare the crust: Finely crush the cookies- either in a zip top baggie (a little harder to get them finely crushed) or in a food processor (easier). In a medium bowl, stir the crushed cookies with the melted butter. Press it into the bottom and up the sides of a 9-inch pie plate. Stick it in the freezer while you prepare the filling. Prepare the filling: In a medium bowl, use an electric mixer to combine the Nutella and cream cheese. Beat until well combined and smooth. Stir in the Cool Whip until combined and you don't see white streaks anymore. Scrape the filling into the frozen pie crust and smooth the top. Refrigerate 4 hours (or overnight) before serving. Slices of this pie are perfectly good without garnish, but you can garnish with whipped cream and chocolate chips, if you'd like. FABULOUS pie creation! Can’t beat Nutella. 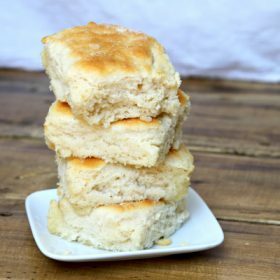 I wanted to tell you that this is the third recipe of yours that I have tried and they have all been keepers! This pie is so good… I cannot resist the siren call of Nutella! Thanks for posting this. I’m not sure what you would use there- sorry! You could whip a cup of heavy cream with 1/4 cup of confectioner’s sugar instead of the Cool Whip. Hi and Happy Holidays! I made this special pie last year to take to my family celebration. I was definitely popular with the little AND the big kids! LOL I’m making it again this year but, by popular demand, I’m making TWO! Thanks so much for the recipe. Hugs and blessings.